just want to say a big thanks for all your help, it turned up on Friday morning as promised, fitted it yesterday, and oh my god!! The sound of it is immense, i've listened to them on youtube, but it in no way at all prepared me to how great the system sounds when right in front of you. I am so glad i hung on for the Milltek. A great product and VERY great customer service. 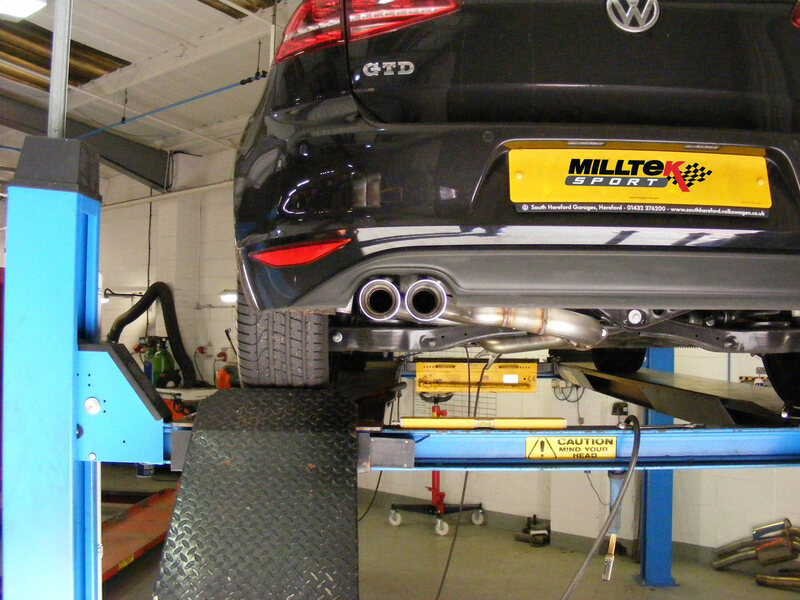 Milltek Sport have been working hard on developing some performance exhaust upgrades for the latest hot diesel Golf, the Mk7 GTD. Over the years, Milltek Sport has released a huge range of options covering almost all variants of the VW Golf and, true to form, their latest offering comes in two main flavours. The first is a twin-tailpipe version which looks similar to the OEM exhaust system by exiting on the left-hand side of the car but with subtly-enlarged exhaust tips and, the other option is a GTi-style system which employs a single large exhaust tip on both sides of the rear. The latter requires the fitment of the GTi valance (available from any VW dealer). You can order your system now from your nearest Milltek Sport stockist.